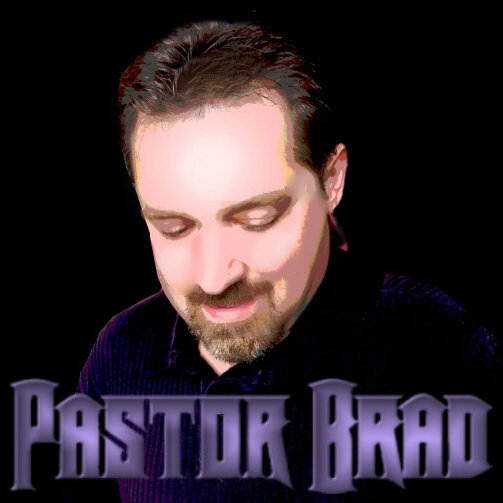 I go by "Pastor Brad" online because that's just who I am: My name is "Brad" and I'm a pastor (Eph. 4:11-12). I love serving the Church and teaching God's Word. I've been blessed to love and encourage God's people all over the Mid-West United States, serving congregations in IN, OH, PA, KY, MI and TN. I also love cranking out Christ-honoring, 80's style, rock/metal music. Growing up in the bigger than life era of "Hair Metal & the guitar hero," I couldn’t help but to pick up a guitar and start rocking. In 1987 I became a follower of Jesus Christ--a decision that reshaped my life--and continues to do so to this day. In 2004 I launched GuitarJams.Net (www.guitarjams.net) -- as a platform to share my music and Bible teaching (sermons) with the world. My mission for GuitarJams is to touch as many people as possible with & for the grace & glory of God--through music and Bible teaching. To date, I've had the honor of releasing more than one-hundred fifty Christ-exalting rock songs worldwide. If you're a fan of 80s style rock--you might just dig my tunes! If KISS, AC/DC, Judas Priest, Ozzy Osbourne and Iron Maiden all jumped into a Christian blender and came out playing Christ-honoring music--that's pretty much what you get with Pastor Brad.